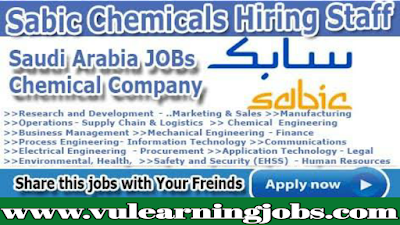 SABIC Jobs and Career Recruitment in the US, Europe and Singapore 2019: SABIC is one of the world's largest petrochemicals manufacturers, which is located in Riyadh, Saudi Arabia. 70% of the company's shares are with the Saudi Arabian government, the remaining 30% publicly do business in the Saudi Stock Exchange. Subic UK Petrochemicals Career and Jobs SABIC started by Royal Decree in 1976 and its growth is not less than miraculous. Today, the company has more than 35,000 talented individuals operating in more than 50 countries with the global workforce. SABIC's global presence is increasing rapidly Our ambitious plans of expansion match the development of infrastructure of manufacturing plants, technology centers, distribution centers, offices and storage facilities all over the world. This enables us to respond effectively to the needs of our customers in major markets around the world.